Let’s Get Cooking AALS Chefs!!! The deadline is near for the next recipe!!! Have you registered for the upcoming cooking show, a.k.a. the 2018 AALS Fall Educational Conference and Membership Meeting? According to the Notice and Call that was published on August 8, 2018 in The Informer, our next event will be on Saturday, September 8, 2018, at the Central Arkansas Main Library Complex, Butler Center, 401 President Clinton Avenue, Little Rock, Arkansas. If you haven’t registered yet–IT’S NOT TOO LATE!!! Grab your apron, chef’s hat and all cooking utensils and send in your registration today!! The deadline to register is Friday, August 31, 2018. Any registrations after August 31 will be subject to a late fee. Additionally, don’t forget to stick your spoon in the pot for a chance to win a free registration for the meeting!! We are giving away FOUR free registrations. This is the most we’ve EVER given away, so the odds of you winning are greater!!! If you have already registered and paid your fee, your goose isn’t cooked!! If you are chosen as a winner, then AALS will reimburse you or your employer (whichever paid) for the registration fee. There will be items for auction, yes SILENT auctions at the meeting. I encourage all chapters, members at large, and even individual members to considering bringing an item for the auction. Can it be cooking related??? Absolutely!!! Make it unique and wanted!! Get shopping so we can bid!! 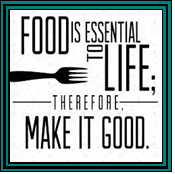 Food is essential to life–therefore make it good!! Let’s get those ovens turned on and start another new recipe!! I look forward to seeing each of you fellow chefs there!! It promises to be a “smoking” hot Educational Conference and Fall Membership Meeting.